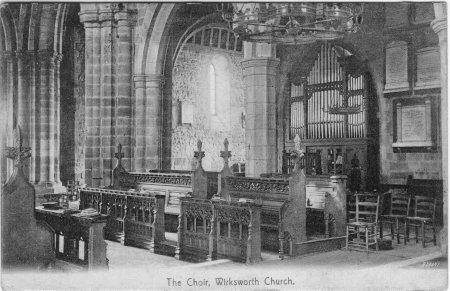 Posted 1911, showing pews, old Brindley organ and chandeliers. 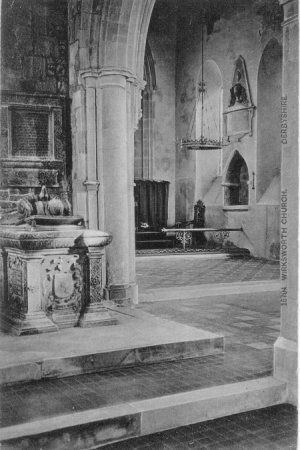 Unposted card, showing North Choir Aisle on left and Chancel on right. Tomb to Anthony Gell (died 1583) on the left. 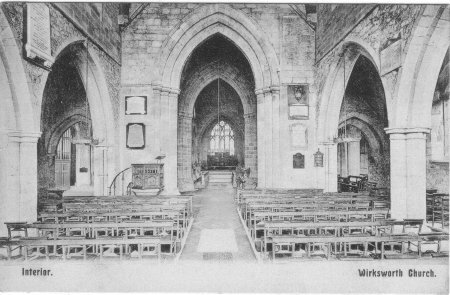 How the Parish Church of St Mary used to look. The organ has now been removed because of the cost of repairs, and has been replaced by a modern electronic organ now standing beneath the Tower. 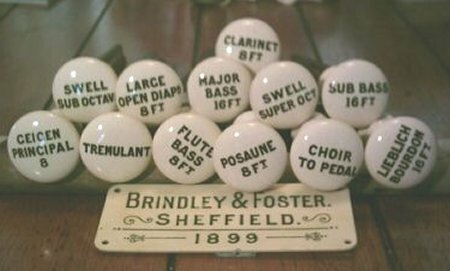 The old organ was made by Brindley and Foster of Sheffield in 1899 (some old stops from this organ still exist). A "refectory" has now been built where the old organ used to stand. The chandeliers at the top of the picture were found discarded outside the church during the Second World War, and probably went for scrap. Mr R Burkitt, 50 Robin Lane, Beighton, near Sheffield. See Photo Y024 for a postcard to the same address. 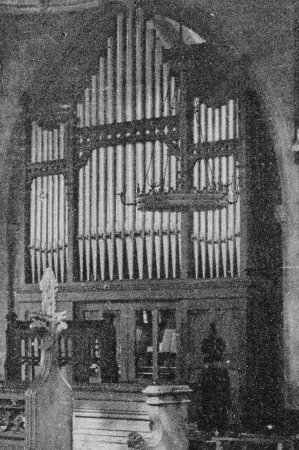 The Brindley & Foster organ, built in 1899. Some china organ stops and maker's name plate from the old organ.